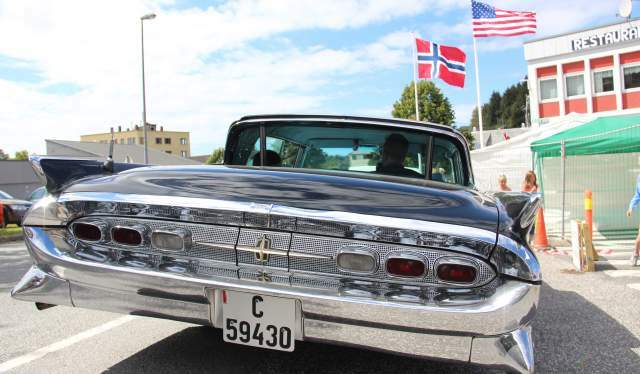 Experience a little piece of America in Vanse Farsund. Come and join in the annual American Festival in the last weekend of June. The American festival is an annual event that celebrates the regions close relationship with the United States. There is a strong American presence in Vanse, with American cars, flags, American migrants, diner stores and American foods. The town even has a road called Route 8 which is a little tour of Vanse and these American areas. The American festival has been going since 2008 and has been a great success every year. it takes place in the last weekend of June when the Norwegian summer is in full swing. There are concerts with local and international artists, a drive in movie, fairy tale parade, street dancing, American car show, toy market, gospel brunch, fun games for the kids and a food contest. Apartment 8 is like taking a step back in time, It is decorated with old American furniture, slothing, TV and even a hand knitted picture on the wall of J.F Kennedy. Many people visit this apartment to try on some old clothes for pictures. Vanse’s own Elvis impersonator Kjell Elvis performs every year at the festival and there are artists from Norway as well as the USA. Kjell Elvis is a real hit with the locals and tourists that come to this event and his shows are always packed. In 2015, he performed a live show at the nursery home for his older fans. The Selvaag Park will be filled with lots of Fun Games for the kids and on Saturday morning, there is a toymarket where they can sell their toys. Each year there is a food contest at the festival. The locals and visitors are welcome to participate in the contest and each year a different type of food is selected. In 2013 it was a cheesecake and in 2014 it was a hamburger. The contest is judged by expert food critics. The lucky audience will be able to sample the food after the competition is finished and the winner is announced. Don't miss the Street Parade on the Friday and Saturday of the festival filled with dancers, American cars, live music, floats and more American historical inputs. In the Farsund region, there are plenty of activities for the kids to do after or during the festival. Flipside and Lista Adrenalinpark offers skateboarding and gokarts or there are nearby beaches. The town of Kvinesdal has its own American festival, American Emigration Festival, during the summer which takes place over one week. There they have an American museum and a statue to monument emigrants moving to and from Norway and the United States. Route 8 will take you on a journey around Farsund and the Lista landscape. WELCOME! Welcome to The American Emigrant Museum in Kvinesdal. Visit "Trunken" in Vanse outside Farsund, a 100 % America-inspired store.